The listening bench in Clacton-on-Sea now features new audio! Visit the bench to hear the new recordings that give an insight into people who have visited this seaside resort over the years, including tourists and evacuees. The scripts were written by Martin, Tony, Roger, Paul, and Norman from the Clacton and District Local History Society using inspiration from newspaper articles, contemporary reports, and memories submitted to the Society’s magazine, the ‘Clacton Chronicle’. They were read by members of the West Cliff Theatre’s Youth Theatre, with introductions from Martin Ridley of the History Society. The bench is situated outside the West Cliff Theatre on Tower Road. 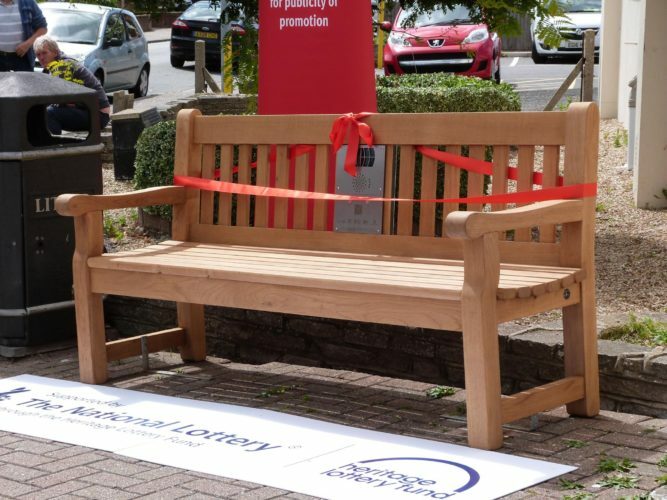 The bench has been put together by the Clacton and District Local History Society. The Society was formed in 1985 to research, record, and promote the history of Clacton and the district. Visit their website to find more information. The West Cliff Theatre has supported the project. Children from Edmonton, London were evacuated to Clacton in September 1939. What did they think of the experience? This clip gives one account of what might have happened to an evacuee. Read by William. Clacton-on-Sea has long been a tourist destination, but the way people travelled there has changed over the years. These clips give an insight into the different transport methods used. Read by Courtney, James, Phoebe, Dan, and Kathleen. Mods and Rockers gathered at Clacton-on-Sea in the 1960s, as well as other seaside towns in Essex. What was the atmosphere really like in those days? Read by Scarlett. Roger Kennell shares information about the history of Clacton’s famous landmark, the Pier. Acknowledging those who have supported the listening bench. Thank you for your comment! I am glad these clips brought back some happy memories – I’m not sure I’d have enjoyed swimming in the cold swimming pool on the Pier! Hope you can visit the bench in person some time. As I was born in Clacton in 1940, I found these clips very interesting. So many happy memories of learning to swim in the pier swimming pool,days spent on the beach during the school holidays. On a recent visit I was so pleased to see how much the town had changed. It was bright,clean and the gardens regenerated. Thank you to all who have worked so hard to make Clacton a lovely place to visit.